Across the country public exhibitions have been launched to celebrate and honour the Women’s Social and Political Union and its activities. 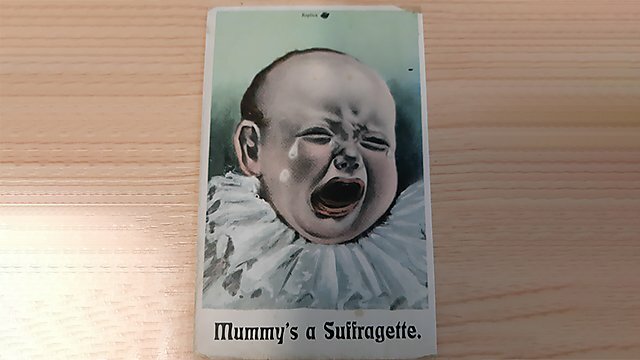 The importance of the suffragette movement is becoming increasingly well recognized in light of the 100th anniversary of the Representation of the People Act 1918 that gave a limited franchise to women aged over 30 years and the Parliament (Qualification of Women Act) 1918 that enabled women to stand in national elections. Across the country public exhibitions have been launched to celebrate and honour the Women’s Social and Political Union and its activities. The WSPU represented the increasing boldness of some women in a changing world; women, to quote Antonia Raeburn, ‘daring to behave like men’ and progressing towards full citizenship. #CHITCHAT? 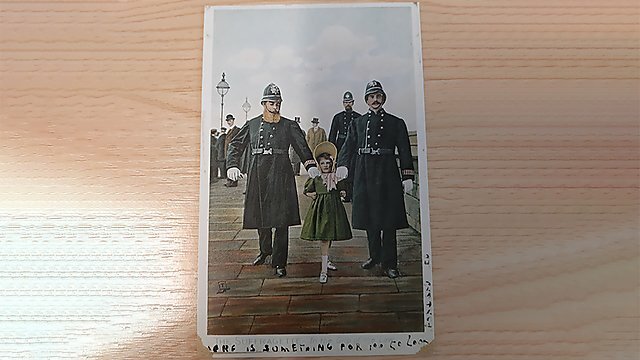 has been given permission to digitize the Antonia Raeburn suffragette archive which is of significant national importance ensuring the material can be legally re-used in different contexts. This will support #CHITCHAT?’s key aims of furthering collaboration with heritage partners and stakeholders; creating new materials for public and educational use and contribute to the existing scholarship on suffragettes. For further information contact Project Lead Dr Simone Schroff. Antonia Jefferson (nee) Raeburn is an eminent scholar on the suffragette movement and author of The Militant Suffragette (Michael Joseph,1973) which is being reissued and revised with help from the #CHITCHAT team. 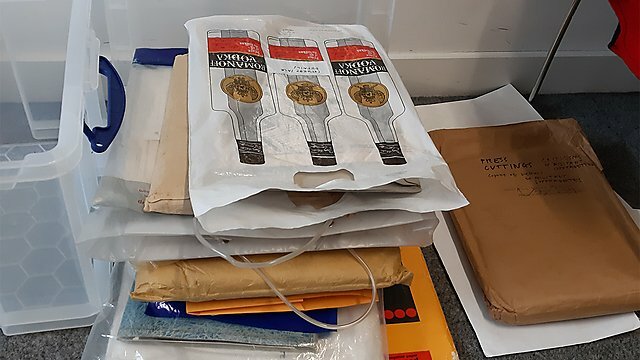 She has collected a wide range of materials on the topic from participating suffragettes she contacted in the 1960s and 70s, including interview records, letters and photographs. 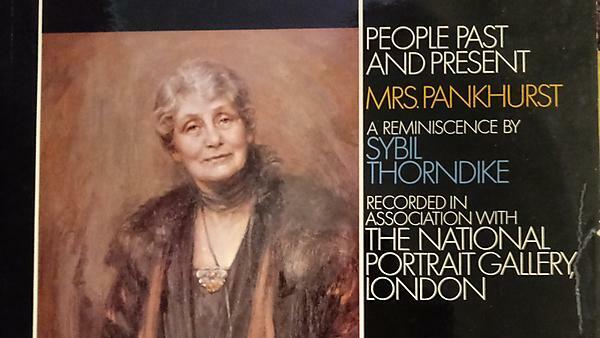 The archive consists of a series of interviews by Antonia of surviving suffragettes (including the LP Record above), and the memorabilia they gave to accompany her audio recorded interviews of them or that Antonia herself sourced, for example these two postcards from the early twentieth century (in good condition but digitization will preserve them for the future). Antonia was the first researcher to be in touch with the surviving suffragettes, with her contacts dating back to 1962. As she won their trust, they permitted her to create a substantial library of recordings which she subsequently drew on to write her book. The team has now started to catalogue and digitize these items to make them accessible to the public in a sustainable manner. This includes making facsimile copies available online as well as using the materials to enhance the public’s understanding of the suffrage movement more broadly. The project has three stages executed in parallel. First, the team will catalogue all of the material as a basis for all further work. Secondly, the team, especially Schroff, will work with Antonia Jefferson on the rights issues involved in the digitization. This includes an assessment of the copyright status and privacy concerns, informing other stakeholders (namely the women who have contributed to the archive or their heirs) on the issues involved, the options available and drawing up appropriate copyright and privacy permission statements. This will place the archive on a firm foundation from a legal point of view, paving the way for digitizing, making the archives accessible and materials re-usable in an ethically responsible manner. Undergraduate Work Based Learning law students are participating in the project, giving them real life experience of managing archival material from a legal perspective. Once the legal issues have been addressed, the archive will be digitized using optical digitization. Antonia’s interviews pre-date those conducted by Sir Brian Harrison 1974-81 but they are different, both in tone and content providing more personal perspectives and information. Antonia’s approach was to get the women to recount the details of and reasons for their involvement, as a form of story-telling. Her genuine interest and empathy encouraged this aspect of their narratives, which was rooted in the pictorial dimensions provided by the visual images that had led Antonia to engage with them in the first place. As an art teacher interested originally in the collection of glass negatives she rediscovered in 1962 at Batheaston, the home of suffragette-supporting Colonel Blathwayt (now at the National Trust owned Blathwayt family seat, Dyrham Park), she was not a trained historian or academic. Her line of questioning is therefore more personal and concerned with emotions surrounding the basic narrative. She recalls that although the women were elderly as they talked ‘I saw them once more in all their youthful enthusiasm’. 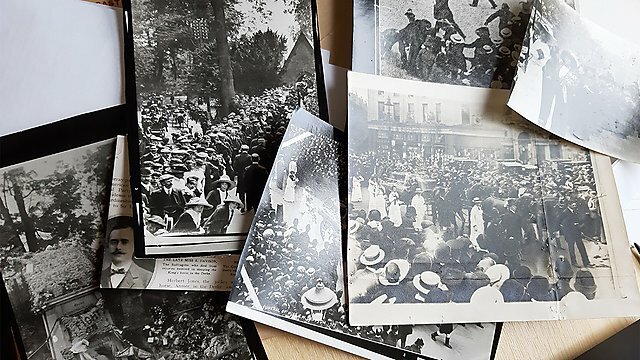 These tapes therefore contain an invaluable contribution to the cultural heritage of the movement for women’s citizenship, accompanied by contemporary photographs given to Antonia illustrating events and episodes in the history of the WSPU.